During the conference "The EU Multiannual Financial Framework 2014-2020 in Times of Crisis," Ms Iren Roussinova, with Bulgarian Ministry of Finance, explained the ideas for changes of the own resources system in the European budget. She said that the discussion was at a very early stage and no firm position has been expressed by the Member States so far, but Bulgaria was against the implementation of a Financial Transaction Tax at European level. How heated were the debates among EU finance ministers on the topic you can find here. The conference was organised by the Embassy of Poland in Sofia, euinside participated as a moderator. The previous speakers were H.E. Leszek Hensel, Ambassador of Poland in Bulgaria and Ms Bisserka Benisheva with the Ministry of Foreign Affairs, Marcin Kwasowski with the Polish Ministry of Foreign Affairs and Wayne Diamond from the British Embassy. There comes one of the European Commission’s ideas that is yet to be discussed and is already being debated very intensively, to look for other sources of financing for the EU budget. The UK clearly said, to remove all doubts “we do not want a tax on the financial transactions if it is not introduced globally”. By the way, Bulgaria is against this tax with the same argument. So, it remains to look for alternative revenues.While waiting for the gentlemen from Poland, especially Mr Hardt, for whom will be very hard, if I play a bit with his name, to convince Mr Diamond that there is added value in the Common Agricultural Policy (CAP), I suggest we go to Ms Iren Roussinova with the Ministry of Finance, so that she can tell us something namely about the own resources, how to find them and whether it is possible. Welcome! Iren Roussinova: Thanks for giving me the floor. I would first like to thank the Embassy of the Republic of Poland, the Centre for Economic Development and the European Commission Representation in Bulgaria for giving us the opportunity to discuss these very topical issues, related to the Multiannual Financial Framework (MFF) in its two aspects - expenditure and revenue policy, expenditure and revenue part. I would like to make a clarification. The new Commission proposal for a new own resources system does not aim to raise funds for the European budget. The own resources, through which the EU budget is funded, are being defined by the size of the expenditure policies. So, the discussion is focusing on the costs of the MFF and the own resources system is designed to provide stable and sufficient resources for the implementation of these spending policies. Why does the Commission propose to carry out some reforms in the own resources area? Over the years this system has evolved, and now new changes are required in relation with the economic situation in Europe. The Commission considers that through EU funding the efforts of Member States to consolidate their budgets could be influenced by reducing the contribution of the Member States in the EU budget, while increasing direct revenues in the EU budget. This is one of the reasons for the Commission proposal. Another reason is that thus the EU will be able to mitigate some of the effects of high mobility of some tax bases, especially in terms of financial services. The current system of own resources does provide the necessary funds for European policies, the revenues are stable, so from a budgetary point of view there is no problem. But at the same time, there are other problems, rooted in some imbalances in the expenditure part of the EU budget and related to Member States' net balances, mainly in relation with the agricultural policy and cohesion policy. Among Member States, we may say, there is a consensus that reform must be conducted namely for that reason - that the own resources system is not sufficiently fair to individual Member States. Another reason, seen by Member States, is the complexity of the current system, it is a technically complex system. For example, the current VAT-based source is calculated in a very complicated way, on the basis of various technical transformations, statistical transformations, ratios, etc. The process of calculation is not always transparent, for instance, in terms of corrections for some Member States, including the UK rebate. They even say that only a few people, even in the Commission, know how the calculations are being made, only one or two people from DG Budget are aware of that. So the complexity and lack of transparency are the other reasons for the request to introduce some reforms in the own resources system. From the perspective of the European Commission and the European Parliament there is also a problem with the limited autonomy of the revenue part of the budget. What they mean exactly: direct own resources in the EU budget amount to 11% of revenues, while approximately 84-86% of revenues in the European budget come through the Member States contributions. According to the Parliament and the Commission, it is a weakness that should be removed, although I personally think there is a positive side. Namely, through their contributions Member States are concerned to exercise tighter control over EU spending policies and observance of financial discipline at EU level. The other motive of the European Commission and the Parliament for the proposed reforms is the separation of the existing revenues from the European policies. In general, for these reasons on 29 June 2011 the European Commission presented a package of documents - regulations and decisions on the own resources -which was updated now in November, some of the documents have been revised and two new regulations were added, related to the proposal to introduce a European VAT and a Financial Transaction Tax (FFT). What is the legislative basis for the Commission proposal? These are Article 311, paragraph 3 and 4 of the Treaty on the Functioning of the EU (TFEU), which allow the establishment of new categories of own resources. On this basis namely the Commission makes its proposal. What are the new elements in the own resources system, proposed by the Commission? The first element is to simplify the contributions of Member States. In this direction it is proposed to abolish the current VAT based contribution but the introduction of two new sources of funds is also proposed – the new VAT and the FTT. At the level of Member States there is broad support for elimination of the VAT-based contribution. As to the introduction of the two new taxes, there are many different opinions. The other new element in the own resources system is the proposed quite large reform of corrections. Currently there are corrections for four Member States of the GNI-based contribution; there are corrections to several Member States on a VAT base. Furthermore, currently 25% of the revenues from traditional own resources - duties and sugar levies - are retained by the Member States, which is also considered as a hidden form of corrections. The new proposal aims to reduce this part of the traditional own resources, which will be retained by the Member States, to 10%. It is also proposed to introduce a uniform amount, annual, for corrections of four Member States and that moment is positive in the Commission proposal, in my view, because it leads to greater transparency, predictability, and simplification of the technical procedures. Furthermore, the total of the corrections, compared to the previous programming period, is reduced and the number of Member States that use these corrections is also reduced. Generally, this is actually a step toward simplification of the own resources system, although it meets understandable resistance by some Member States, which have received such corrections as Austria, some countries like the UK and Sweden, whose annual correction amount is reduced. Adelina Marini: ... who is a little bit late, so please - discuss this issue, firstly because it is an interesting topic, and secondly because I understand that they are a little bit late and in order not to increase unduly the expectations from their coming, please finish this undoubtedly important topic. 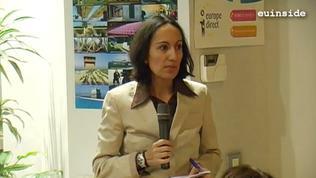 Iren Roussinova: The proposal for the introduction of the FTT was made by the Commission on 28 September. Then the EU directive on that tax was published. This directive provides for a general tax rate and the principle of using the collected tax revenues. Two-thirds will go to the EU budget, one third of the revenues will be retained by the Member States. It is considered that the introduction of this tax will assist the financial institutions to contribute to the costs that have been made for their consolidation during the crisis. Furthermore, it is thought that the financial sector is under taxed, since the financial services are not subjected to VAT and this is some form of unifying the principles. The introduction of the tax will also reduce the fragmentation of the financial services market and, as far as the tax is proposed on a European level, it will be more effective than if it is introduced, or as it currently exists in some Member States, at the national level. Regarding the introduction of the tax, as I said, there are many different opinions. One of the main objections is that the introduction of such a tax at European level makes sense if it is introduced on a global level, because of the risk of transfer of capital, operations, activities, services in other Member States, where this tax is not introduced. Adelina Marini: This is something in which Bulgaria believes too, right? Iren Roussinova: Yes. But I would say that the introduction of this tax has two aspects. One aspect is the introduction of the tax as a tax. Which should have an impact on the financial sector. Another aspect is whether, if a decision to introduce this tax is adopted, Member States will agree this to be used as own resource. From our point of view, this would be good for Bulgaria but I say that from a budgetary point of view only, because it will reduce the contribution of our country, which is paid by the state budget. In addition, our financial sector is not yet well developed, so we do not expect big revenues from this tax. The introduction of this tax would have a potentially negative implications for the development of the financial sector and for the end users, because it can affect the prices of services. At this stage, discussions, issues related to the own resources, are addressed at a European Council level, the technical issues are addressed in the Own Resources working group and during the Polish presidency efforts were made to clarify the Commission proposals in the best possible and most detailed way, to facilitate a later decision on the Commission proposal. So, at this stage, Member States have not expressed any specific positions on the Commission proposal, only technical questions have been asked. In fact, the political discussion on the own resources will be conducted in the Friends of the Presidency working group, at COREPER level and General Affairs Council level. And, as far as the revenue part is of competence of the Member States' finance ministries, the developments of the own resources discussion will be presented also to the finance ministers. For example, on November 30th, during the ECOFIN, it is provided finance ministers to be familiarised with the topic and to express their views and opinions on the matter. Adelina Marini: Maybe they are being familiarised at this very moment, as their meeting is taking place right now [30 November]. 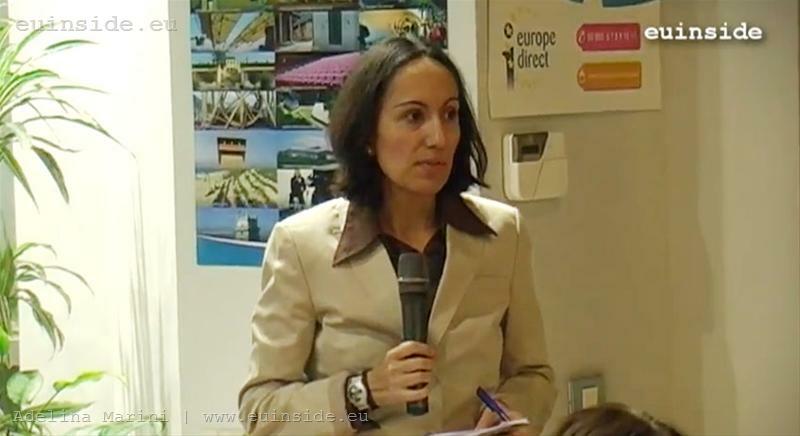 Iren Roussinova: But we do not expect any decision to be taken at this stage. Generally, as Mr Kwasowski said, it is expected a political agreement to be achieved on both expenditure and revenue parts during the Danish Presidency, the end of June, this is the optimistic scenario about the development of the negotiations on the MFF. I have slightly deviated from the topic, sorry. As regards the creation of a European VAT, the advantage of this tax is that there is a direct connection to European policies, particularly the policy for tax base harmonisation, reducing abuses and violations related to VAT. Furthermore, the Commission proposes a much simpler method of calculation, which is a positive point, because we do not expect high administrative costs for collection and remittance of the tax to the EU budget.